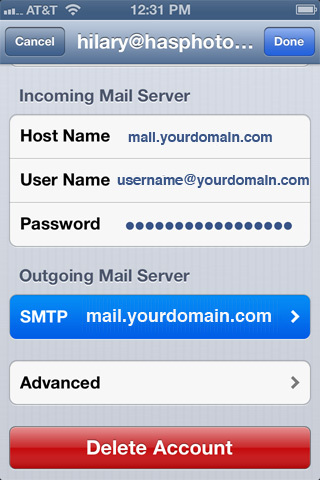 If you need to update your Outgoing Server (SMTP) settings at any point after you have set up your email account on your iPhone, this is how you access the Outgoing Server settings. 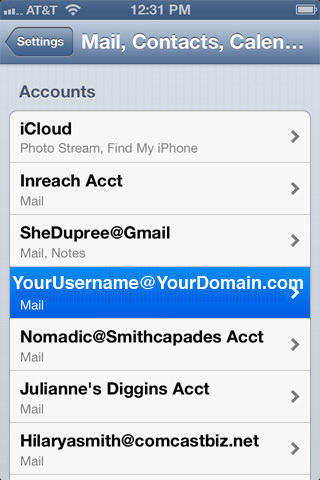 We haven't published any server address or authentication details on here. If they haven't been supplied to you, then please contact Central IT for further assistance. 3. Outgoing Port is set to "25" or "2525" PLEASE IGNORE THE "587" IN THE PICTURE. 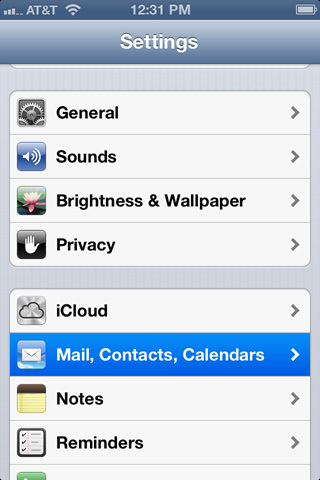 Only use "587" if SSL is switched on.